Just riding my unicorn through the pink clouds! Good morning! I love all things fantasy and Faery Ink digital stamps definitely fill my need for gorgeous fantasy images! 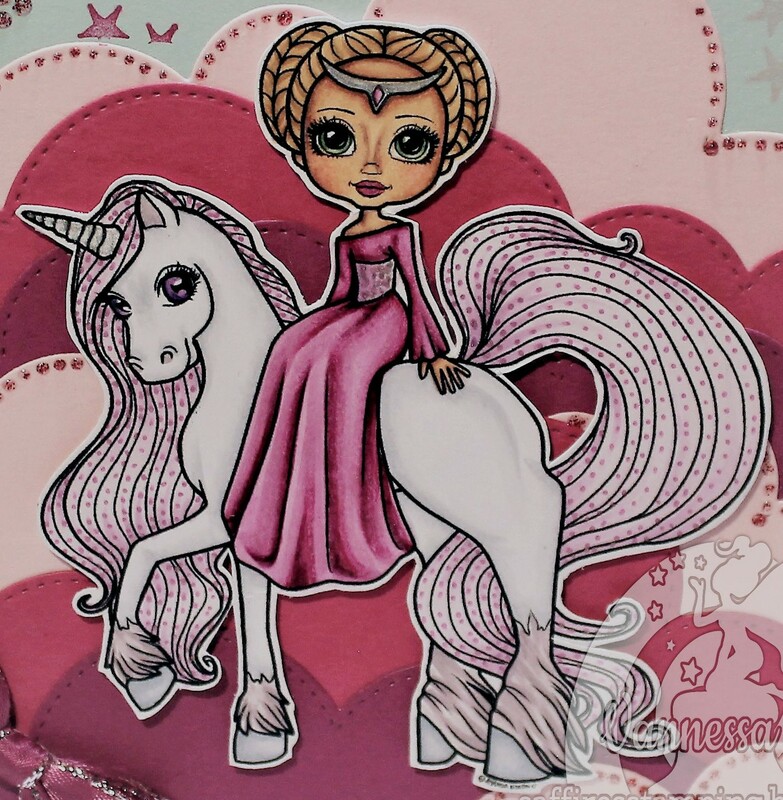 I really wanted to make a unicorn card this time and chose to use this image, Fae Princess Fable and Her Unicorn Companion from the Unicorn Love Digi Bundle. This bundle of digi stamps is amazing value and perfect for anyone, like me, who loves unicorns and fairies! For something different I went with pink clouds, instead of the usual white ones and love the combo here! I added lots of glitter to this card as I felt it could carry it well without overpowering it at the same time. Here's a close up of her and all the glittery dots on the unicorn's mane and tail. She also has glitter on the fur above her hooves as well but not sure if you can see that too. And that's all from me for this post folks! Thanks for stopping by! Don't forget to pop on over to the Faery Ink Facebook group this week and share all your fabulous creations with us.